Teenage years are the most stressful years of anyone’s life. Hormonal changes and other difficulties add to our never ending problems with our mind and body growth. It is also the time when boys and girls start noticing and getting conscious around each other. Teenage girls always develop their first crush in that age and they try everything they can to get noticed. It is usually that time that girls start applying make-up regularly. The trouble is at that age due to inexperience and some media influences girls tend to go overboard with their make-up. Teenage girls do not recognize what suits them and what does not at that early age. They need to have suitable guidance to make the right fashion and make up choices The trouble is applying too much make up makes you look a little clownish. The art of applying make-up is to enhance your good features and hide your trouble areas. Teenage girls always have to focus on certain points while applying make-up. Here are few tips to help improve your looks for the better. A girl’s most important feature is her eyes. It is the eye that gets noticed first in someone’s face so pay all attention to it. The important thing is to highlight your eyes apply a dark color liner and always wear mascara. It is not really important to apply eye shadow everyday for every event. Unless it is a special event it is better to avoid eye shadow. Also never apply a bright lipstick with a very heavy eye make-up it tends to give a very unattractive appearance altogether. Acne is a usual difficulty that most teenage girls face. Almost all of these girls try to conceal it with a regular make-up using a foundation which is not always right. A foundation usually dims the natural glow of a person. A teenage girl has a very effective natural glow which needs to show through naturally. Concealer is always the best choice for these girls. Thee right concealer paired with moisturizer works wonders to hide the acne. Applying the Concealer right is quite a trick. Never rub it all over the skin with your hands take a little in one finger and apply it gently over the skin. Never circle the skin with concealer. Also if you suffer from a very serious case of acne problem you might have some skin allergy or issue you are not aware of consult a proper dermatologist to get it checked out properly. There is nothing that is better than natural hair. You may feel coloring your hair will make you more attractive or trying or different new styles are better. Yet nothing can beat your natural hair if you maintain your hair well it will automatically start to look good. Buy the right Shampoo and always use a proper conditioner to go with it. It is always better to get your hair oiled up an hour before a wash. Also wash your hair at least 2 times a week. Use shampoos that suit your hair rather than go by suggestion. It is very important to know that all the Make at home style dyes are never a good choice. If you do decide to dye your hair consult a proper stylist and do it under supervision and not spoil your hair. 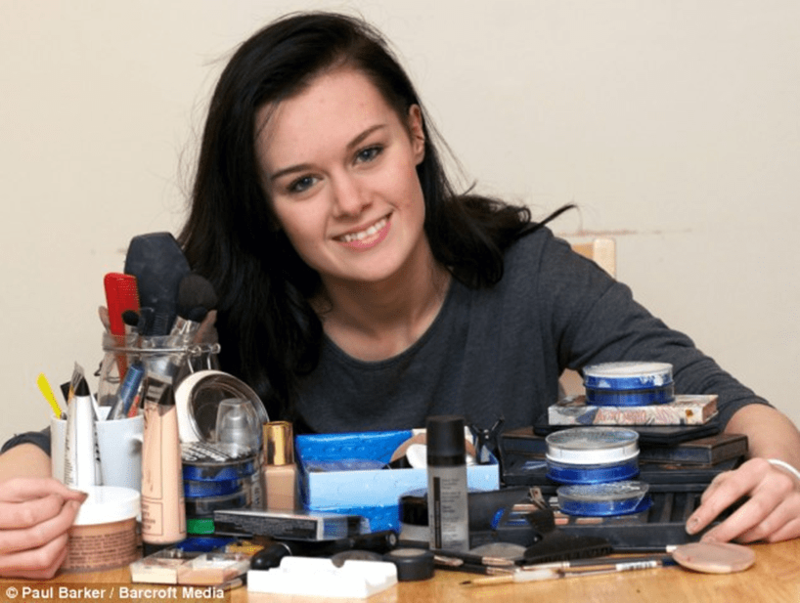 It is always tough to get quality beauty products in teenage years as you will usually live in parent’s pocket money, but do not buy cheap and inexpensive products just to get them. It is better not to apply any make up than to apply make-up that might spoil your skin. If you do want to buy something take an advice of someone who has had experience. Next articleHow We Design Our Days Shapes Up Our Life ! Styles That Will Be Out In 2017!